THIS week’s focus is on two unrelated areas that affect our lives in very different ways. The first one is how political management and conduct impact on national brand image and economic fortunes. The second one is on WhatsApp, a digital platform increasing numbers of us are unable to live without. It is hard to have a conversation about reputation management without reference to hot topics like Eskom, for instance, which remains at the forefront of many people’s concerns. 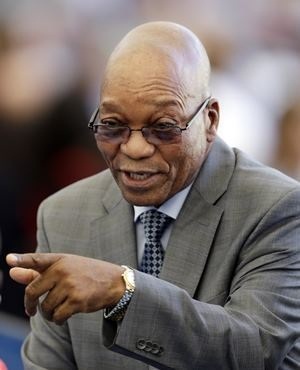 It would be strange for PresidentJacob Zuma to deliver his State of the Nation Address on Thursday without uttering the word ‘Eskom’ or ‘electricity’ at least once – even if he manages to stay clear of the dreaded expression ‘rolling blackouts/load shedding’. If he were to avoid these two words, the State of the Nation Address would seem insincere and make a total mockery of our collective intelligence, as it would not be a true reflection of the current state of our nation. If the related issues continue to be badly managed or ignored, the cancer would metastasise and destroy what is left of our nation’s brand reputation. It would also influence how we are seen as a country and the level at which others value us as potential business partners. No doubt, the most recent downgrading of South Africa’s creditworthiness would have – at least in part – been influenced by perceptions around these two words. Going by the plethora of comments and jabs on digital media platforms, even South Africa watchers in other parts of the world have jumped on the bandwagon. This being such an important and much-anticipated State of the Nation Address, Zuma would be well advised to honestly address other burning issues such as the management of parliamentary processes, xenophobic attacks, poor service delivery, lethargic economic growth, corruption, huge pay packages and unwarranted performance bonuses for managers of badly performing state-owned companies, growing levels of inequality, and more. The nation will be watching this one with very keen interest. As a Vodacom [JSE:VOD] customer, I tested my WhatsApp health status by sending the recommended text message (see below) to 30333 before starting this part of the column. If you are like me, you might want to follow the tips from My Broadband to help you unsubscribe from any Wasp service that might be deducting money from your bank account every month without you being aware of it. Below are useful numbers in case you also want to check your WhatsApp status. – Cell C: Using the USSD string *133*1# subscribers can block all existing and future content billing. – MTN: Dial *141*5# and select which services to unsubscribe from. – Vodacom: Vodacom users can unsubscribe from all Wasp services by sending “STOP ALL” to 30333. The latest ‘scam’ making the rounds hits one unawares, especially those of us who are in the habit of clicking buttons like ‘send’, ‘accept’, or ‘download’ without first verifying what the message is all about. It happens to the best of us. In our busy existence, our attention spans have become increasingly shorter. We read sentences in part and draw quick conclusions, assuming to know how they end because, presumably, we’ve encountered them many times before. Many Terms & Conditions are about 80% cut and paste, right? Scammers and smooth moneymakers are smart in this way because, in the same way we think we can predict the end of sentences, they’ve also mastered the art of predicting our behaviour. While acting within the precepts of the law, they place apparently familiar sentences in front of us, sit back and watch us falling into their cleverly crafted traps. Usually, the Terms & Conditions are in very fine print and the button to press – ‘accept’, ‘send’ or ‘download’ – appears in big colourful letters; just like the one in the latest WASP download. Many unsuspecting WhatsApp users have already fallen into this trap and given away hundreds of rands in monthly deductions. However, since this ‘scam’ emanates from outside WhatsApp, it is unlikely to impact negatively on its reputation. Many of the tools of modern life – auto bank machines, mobile phones, computers, etc – provide fertile grounds for opportunists looking for easy money from unsuspecting users. Experts advise us to read the fine print with care, and to think carefully before accepting anything online.